From strategies for showing off your expertise to increasing your email opt-ins, our lead generation page is packed with tips and tools to help you attract more of your ideal customers. How does your website attract your ideal customers? 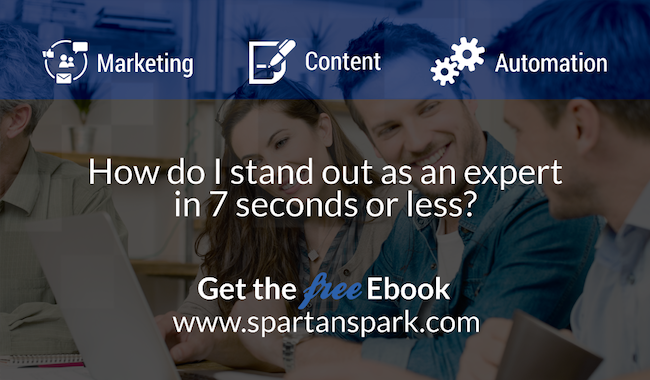 How do you stand out as an expert in 7 seconds or less? How do you consistently brand all your marketing material? Are you creating instant trust throughout all your marketing material? Does your website pass Google's mobile test? Is Your Blog Search Engine Optimized? How do you get website visitors to give you their email? How do you share your expertise with your website visitors? How do you know your website generates leads? How do you automate your email marketing? How do you get visitors from social media to your website? How do you showcase your customer testimonials? How do you show you have a trustworthy business? Do you have a Google Approved search engine strategy? How do you consistently optimize your website for the search engines? What programs do you use to automate your marketing? How does your marketing scale as your business grows? How are you backing up your customer and website data? How are you staying on top of changes to CASL rules? How does Google's latest algorithm affect your business? Do you know if your website passes Google's speed test? How do you know your website is safe from hackers? Does your website get ongoing software updates? Is your website easy for your visitors to navigate? How do you sync all your business applications? Are you using calls-to-action on your marketing material? How do you automate staying in-touch with your leads? What is your written, visual and audio content strategy? Do you test your website visitors' interests and preferences? Are you making money with your social media efforts? How do you automate a superior customer experience? Do you consistently get referrals from your customers? Are your leads and customers reading your articles? Do you know how to leverage your content creation efforts? Do you understand your Google Analytics? Are you set up to handle more customers? Do you have a 360 view of all areas of your business? How do you delegate the content creation for your online marketing? How do you manage your online appointment scheduling? Are you maximizing your time and leveraging technology? What system are you using to make it easy to get paid? What program do you use to send invoice reminders? How do you turn customers into loyal fans? How do you consistently collect customer testimonials? How do you keep track of leads and customer interactions? How do you leverage your website to train your employees? Do you know the right way to format a sales page? Are the tools you use for your business easy to customize? Kiss Metrics is a marketing optimization company that helps professional marketers track analyze and optimize their digital marketing. We've hand picked some resources.